Thanks to the World Health Organization (WHO), you no longer need to shell out $10 to see a fall thriller flick to scare yourself. Instead, you can just visit their website for free to read statistics about how many people die prematurely due to toxic air (if you guessed around 4 billion, you are correct). While it is not possible to estimate exactly how many of those unlucky folks live here in Canada, we already know none of us want to join in! In this post, learn health-boosting and potentially life-saving clean air tips you can begin implementing at home and work right away. This list includes only some of the most deadly toxins that can work their way into your indoor air. “Solid fuel” biomass includes wood (like the wood in your sweet old-fashioned indoor fireplace), coal, charcoal, animal dung, and crop waste. Why are these to be avoided at all costs? When used as a source of energy, they emit toxic by-products like soot (black carbon), smoke, particulate matter, and methane. Over a period of time, breathing in these toxins can cause everything from pneumonia and COPD (chronic obstructive pulmonary disease) to stroke and cancer...and eventually, death. Just when you were starting to think that your tobacco habit couldn’t be nearly as deadly as biomass, think again. Tobacco is still a leading cause of lung cancer, COPD, heart disease, cataracts, and low birth weight in babies. Kerosene is the most common example of light fuel oil. Diesel gasoline is the most common example of heavy fuel oil. In many rural areas, these fuels are still used as a significant power source. Unfortunately, fuel oil releases its own sooty small particulate matter into the indoor air supply, which then gets breathed in and can accumulate over time. The health hazards of breathing in kerosene vapours can include irritation to eyes, nose, and throat tissues. Dermatitis, or skin irritation, can arise with skin contact. In stronger doses, kerosene or by-products can cause convulsions, coma, or even death. One of the principal culprits in introducing toxins into your indoor air is actually your air conditioning and heating system. 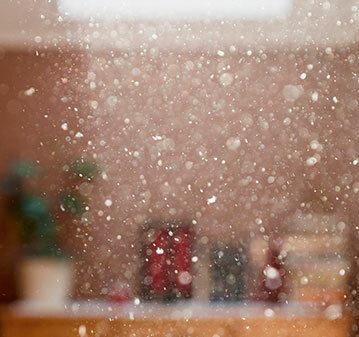 A unit that is poorly maintained (or not maintained at all) can accumulate surprising quantities of airborne irritants and contaminants, which are then free to circulate in your indoor air. As well, older units or units that are underpowered for the space can contribute to mould and mildew growth inside your home or workplace. Here, health hazards span the gamut from an increase in allergy symptoms and asthma attacks to trouble concentrating, fatigue, respiratory infections, and increased risk of illness during flu season. Luckily, for every toxin that gets into your indoor air supply, there is a potential remedy. Some remedies, which may take more time to implement, include changing the fuel you use or lifestyle habits such as smoking or tobacco use. HEPA stands for high-efficiency particulate air. HEPA filters are currently the most complete protection you can use to guard against even small particulate matter. A HEPA filter can filter out 99.97 percent of all indoor air toxins. HEPA filtration systems can be hooked into your central HVAC system or used on a room-by-room basis as needed. A professional air duct cleaning is the best way to remove the most dust, debris, and toxins from your indoor air supply in just one day. When your air ducts have been vacuumed out, it will be like you have hit the reset button on your indoor air supply, going back to when all was fresh, clean, and new. A professional dryer vent cleaning can remove hidden, hard-to-access lint and debris from the inner sanctum of your clothes dryer. This ensures that toxins won’t inadvertently get reintroduced into your indoor air through your clothes. A heat recovery ventilator is insurance against the possibility that outgoing stale, toxin-laden air is reintroduced into your indoor air supply. A heat recovery ventilator sends incoming and outgoing air on two completely separate paths, ensuring the two never mix. This level of ventilation can also guard against the growth of mould and mildew and keep your indoor air fresh and pure. Typically, humidity rises in the warm seasons and falls in the cool seasons. This can mean ongoing respiratory irritation as your sensitive tissues attempt to adjust to continually changing levels of humidity. 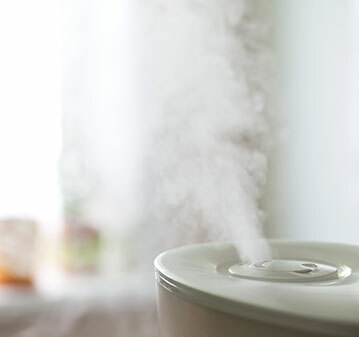 As you know, humidifiers add much-needed humidity back into your indoor air in winter and dehumidifers achieve the opposite in summer. The goal is to maintain between 30 and 50 percent indoor air humidity to keep your respiratory system functioning normally. Air purification is not just the job of your HVAC filter. There are additional options to ensure even fine particulate matter is not permitted to circulate freely in your home or workplace. An air purification system can be central, room-sized, or home/office-sized as your needs dictate. Adding an air purification system to your indoor air system can ensure the estimated 30,000 quarts of air your lungs breathe in daily are squeaky clean.